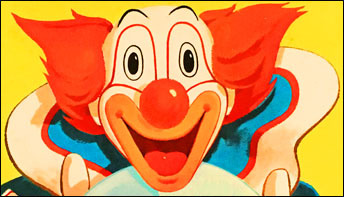 The self-elected worlds most famous clown takes part in a march dressed in red, white and blue on the LP that most closely captures his animated personality. 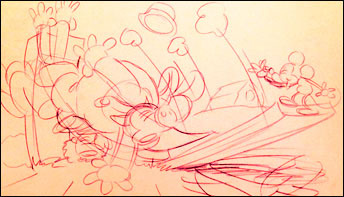 When Pinto Colvig switched from Lantz to Disney, his looping signature may have played a small role in leading to something iconic and happily everlasting. 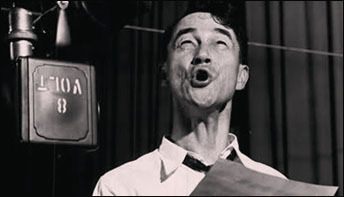 Ben Clopton was a rugged cowpoke from Montana before he came to Hollywood. 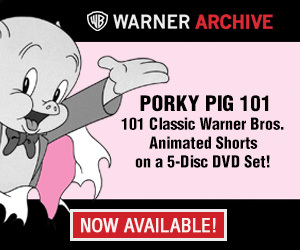 After he among others left Walt Disney to sign with Winkler Studios, it was The Mouse that got the last laugh. 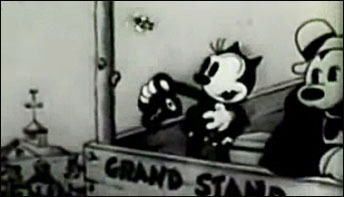 Mack Sennett envisioned a gag seen through binoculars for a 1928 feature film. 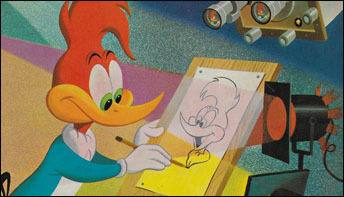 The resulting effort became a legend of a story that saw Walter Lantz getting his first big break as an animator in Hollywood. 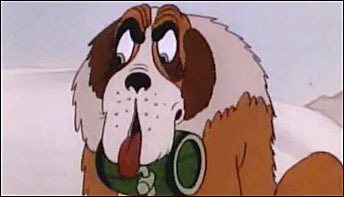 How a St. Bernard from a 1936 cartoon and his subsequent Disney comics appearances may trace a path back to a forgotten character created by Pinto Colvig and Walter Lantz. 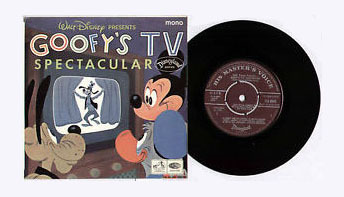 Before he was the voice of Goofy, Pinto Colvig was the voice of Oswald the Lucky Rabbit for Universal and had a big part in the studio’s transition to sound cartoons. 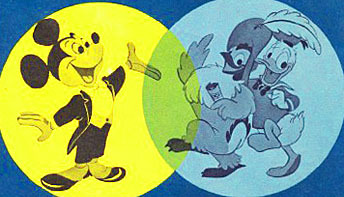 Before there was a Star Wars, cartoon characters were conquering the galaxy right and left. 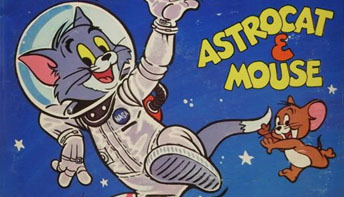 Here’s the second time the cat and mouse team flew a platter into space.